As people continue to filter into the Puget Sound, multiple challenges arise. These include the never-ending traffic, increased cost of living, and a decrease in housing supply. In fact, not only are the inflated home costs pricing thousands of people out of the market, but there also just isn’t a large number of homes to begin with. 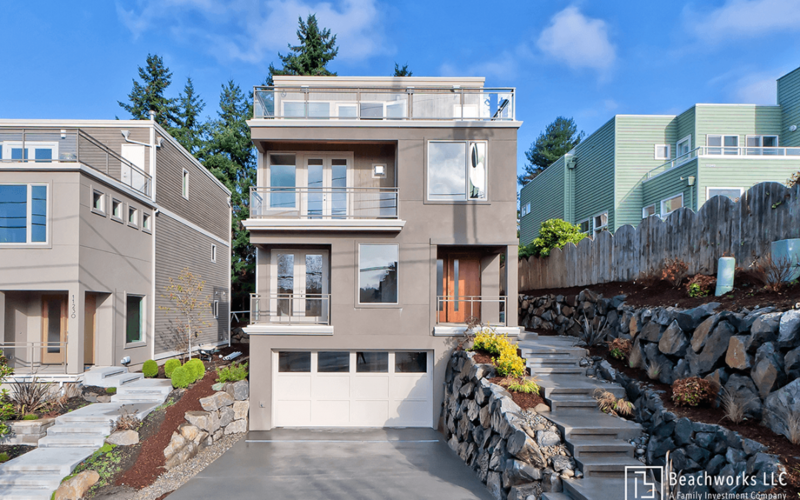 The City of Seattle has recognized this and is scrambling to find an answer to the low housing inventory problem. Yet, it seems as though no answer will make everyone happy because, like anything else, each comes with its own challenges and opponents. One solution is the idea of upzoning in Seattle to allow for an increase in multi-family developments in and around the city. These zoning code changes would increase density on single lots, which will, in turn, allow for more people to live in less space and, ideally, for less money. Yet, as the City of Seattle begins implementing policies such as Mandatory Housing Affordability, there’s a mixed reaction in the Seattle community as to whether upzoning in Seattle is the right choice for the city. In October 2017, The Guardian published an article discussing the rise of newly priced-out-and-angry activists known as urbanists, or more recently, as YIMBYs (Yes, in my backyard). Urbanists fight for progressive housing—upzoning, new development and an increase in density which would, in theory, keep them from being priced out of highly desired cities such as Seattle and San Francisco. They are in opposition to preservationists, which we will explore later on. Those who encourage upzoning and development are often millennials who are being priced out of ever-increasing rents and home prices. Whether new to the city for job opportunities or have grown up in the area, they are struggling to find the same quality of life previous generations had. When rents and housing costs continue to rise with no end in sight, these young adults are struggling to make it day by day. Although these cities may offer great jobs with good pay and high employment rates, paying the bills every month is a constant struggle. Recently, The Huffington Post published an article explaining why millennials are “facing the scariest financial future of any generation since the Great Depression.” The author introduces Tyrone, a man who moved to Seattle when he was 23. Like many, he struggled to find housing that he could afford within a reasonable distance from his employment. The interactive article shows an animation explaining how housing in America got so expensive. It starts by showing an illustration of a made-up downtown. It explains that most people want to live within 30 minutes of work, so that’s where housing shows up. Once that filled up, freeways were built. Then, traffic got bad. Following that, demand for housing near downtown exploded because no one wants the commute. For a while, the city built up, developing apartments and townhomes to increase density and allow for more people to live near the city. Then, in the 1970s, zoning changes came into play and made it illegal for many plots of land to be developed to allow for higher density. That was when rents and housing costs began to rise. Now that we have hundreds of people moving here every week with very little housing to go, the demand is overwhelmingly outranking supply and therefore pushing out anyone who doesn’t have wealth, or seniority, built up over time. That is what Seattle urbanists, or YIMBYs, want to change. A common misconception about preservationists stems from the largely degrading term, NIMBY, which is often used to describe this group from the urbanists’ side. NIMBY stands for “not in my backyard” which originates from the supposed hypocrisy that preservationists are OK with projects such as homeless encampments or upzoning, as long as it’s not in their neighborhood. However, preservationists have a much different view of their fight. While everyone seems to agree that the balance of supply and demand caused by Seattle’s growth is a bit out of hand, this group is adamant that all developers don’t have people’s best interest in mind. To them, a developer isn’t someone looking to transform the land into the highest and best use for everyone, but instead a way that squeezes out the most profits for their companies. To preservationists, development is often synonymous with displacement of the poor, gentrification, and a capitalist mindset focused only on growing profits. If solving Seattle’s housing supply problems was as simple as publishing an article, we would have everything figured out years ago. However, the challenge has much deeper roots than that and therefore isn’t easy to solve. With that said, one particular solution may provide a partial answer to our housing needs. This is Mandatory Housing Affordability (MHA), a policy which requires developers to allocate affordable housing—either in their own projects or through a portion of their costs donated to a fund. The plan also puts more emphasis on Urban Villages—hubs within neighborhoods designed to be a walkable, livable, and self-sustaining communities near public transit. In 2017, MHA was enacted in six various neighborhoods across Seattle. It added development capacity near community assets like parks, public transit and jobs. The goal is to implement “less intensive changes in areas with higher risk of displacement, environmentally sensitive areas, and areas with fewer community assets” while focusing on neighborhoods without those major concerns. Mandatory Housing Affordability is a part of the Housing Affordability and Livability Agenda (HALA) in Seattle. It’s designed to create more homes and more affordable housing in a city that severely needs it. Of course, not everyone is excited about the new policy. However, to many, this is one step closer to increasing housing supply with as minimal displacement and interruption of neighborhood character in a city that needs answers to these problems.